Tip 1: How to know the best times to apply fertilizer and manure: Using real-time rain forecasts and historical climate data, The Ohio State University’s new free Field Application Resource Monitor (FARM) website, farm.bpcrc.osu.edu, tells farmers the best times to apply fertilizer and manure, pinpointed to the farmers’ exact locations. It benefits crops and costs by helping farmers avoid rain events that could wash away that fertilizer and manure. It’s good for water quality, too, for the same reason. Learn more by talking to Aaron Wilson, who has appointments with Ohio State’s Byrd Polar and Climate Research Center and the College of Food, Agricultural, and Environmental Sciences (CFAES), wilson.1010@osu.edu, 614-292-7930. Tip 2: How algal blooms affect how walleye see: Walleye and the smaller fish they eat “struggle to see in water clouded by algae, and that could potentially jeopardize the species’ future if harmful algal blooms persist.” That’s according to a study led by CFAES scientist Suzanne Gray and a story about the study by Ohio State science writer Misti Crane. 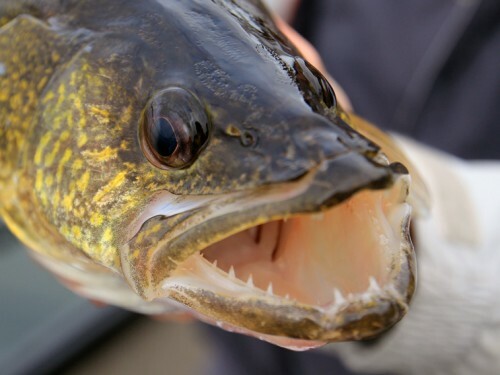 Walleye are one of the most sought-after game fish in Lake Erie. In recent years, algal blooms, which can turn the water green, have plagued the lake’s western basin. Read the full story at go.osu.edu/walleyevision. Contact Gray at gray.1030@osu.edu, 614-292-4643. 8 Stone Lab Open House, 11 a.m. to 4 p.m., Stone Laboratory, Gibraltar Island and Put-in-Bay. Free. Details: go.osu.edu/CW8G or Erin Monaco, monaco.25@osu.edu. 10 Advanced Biobased Systems Workshop: Pipeline to Commercialization, 8:30 a.m. to 4 p.m., Nationwide and Farm Bureau 4-H Center, 2201 Fred Taylor Drive, Ohio State, Columbus. Registration is $75. Networking event on Sept. 9. More information: go.osu.edu/CWsg.